LONDONERS are used to the sight of new-build luxury apartment blocks going up – and prices rising with them. But in Dublin it’s a new phenomenon: new-build luxury apartments that is; they’re used to the price rises. A chronic shortage of homes in Dublin means second or third- time buyers often have to sell up and rent before buying again, or they risk being gazumped. And while prices are said to have flat-lined in London with predictions of price falls, property experts in the Republic of Ireland suggest price rises in the region of eight per cent in Dublin and 10 per cent throughout the country. The European Commission recorded Irish economic growth at 7.3 per cent for 2017 – three times more than any other EU country – and its GDP is forecast at 4.4 per cent for 2018. That’s partly because Dublin is expected to be an alternative EU base to the UK after Brexit for the financial industry and to become an important strategic location for international business due to its English speaking workforce and short transport links to the UK and EU. But while there are plenty of new office blocks being built, Dublin has relatively few residential new- builds; with the notable exception of what’s been described as a game-changer for the city’s property market – Lansdowne Place. It has a concierge service and residents’ suite that houses a gym with a sauna, steam room and treatment rooms. And there’s also a dining room, lounge, library, meeting rooms and cinema. The apartments have high ceilings, with large floor-to-ceiling windows and most have either sunrooms or balconies. 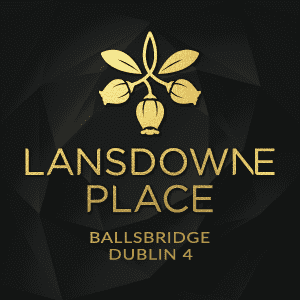 Lansdowne Place is in the fashionable Ballsbridge area of Dublin within a 15- minute walk of the city’s central St Stephen’s Green but only a five-minute drive from the sea at Sandymount Strand in Dublin Bay. Transport links into the city include Dublin Area Rapid Transport trains, which will also take you to the seaside resort of Greystones in County Wicklow. The 215 luxury apartments are in five blocks of seven or eight- storeys with prices starting from 800,000 euros (£702,159) for a one- bedroom flat ( Savills International: + 353 (0) 1 6181300 or Sherry FitzGerald on Tel: + 353 (0) 1 6671888 or visit lansdowneplace.ie). Sales consultant Greg Coffey of Ireland’s largest estate agent Sherry FitzGerald, which is marketing the apartments with Savills in the UK, describes Ballsbridge as “highly desirable”. But it is being marketed in the UK as a good rental investment. High rents due to a shortage of property in Dublin has created net rental yields of four to five per cent. In 2016, more than a third of residential purchases in Ireland were by investors and, according to Savills, many are buying high-yielding investment properties to rent out now and move into themselves in the future. But buying simply for the pleasure of living there comes highly recommended by property magnate Stephen Vernon, 68, chairman of Green Property, a group of investment and development companies. Originally from Bristol, Vernon moved to Dublin from London because of business interests. He lives in one of the penthouses and doesn’t deny paying 5million euros (£4.4million) for it, saying: “I was the first person to buy an apartment there. It faces south and across the bay to the mountains.